If you are looking for a quiet country location, a property full of character that also offers everything including a pool,, then this is it! 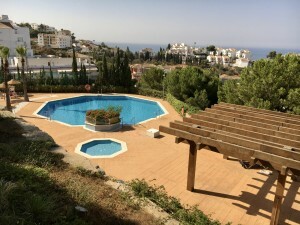 Its been reformed to a very high standard but still has a very spanish feel. 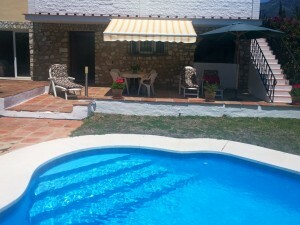 This is perfect as a holiday home and also just ideal for a permanent home for a couple or a family. 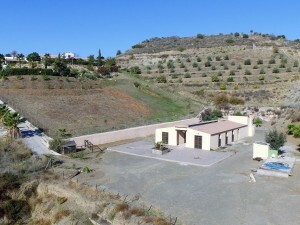 Its close to the local village and not far from the great town of Alcala la Real. You enter via lovely solid double wooden doors into the patio area where there is a plunge pool and plenty of space for outside dining etc.. Then into the house into the fully fitted kitchen with log burner. Off here is a the double ground floor bedroom. And then through into the dining room and sitting room with pellet burner and double doors to the patio. There is also a new shower room here. Then up stairs to the 1st floor with 2 double bedrooms - one has an ensuite shower room, another full bathroom with corner bath and shower plus a single bedroom. Off the landing there is access to the roof terrace via a wooden staircase...this terrace has amazing views all around and is great just to sit and relax. This just has to been seen! !